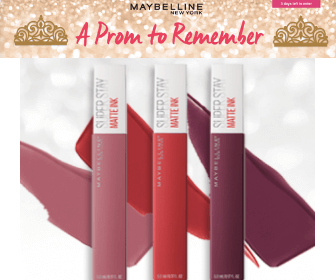 Maybelline wants you to have the ultimate prom prep experience with this great prize draw! Enter for the chance to win everything you need to shine this prom. Follow the link below through email to get started today. Contest ends on April 14th, 2019.